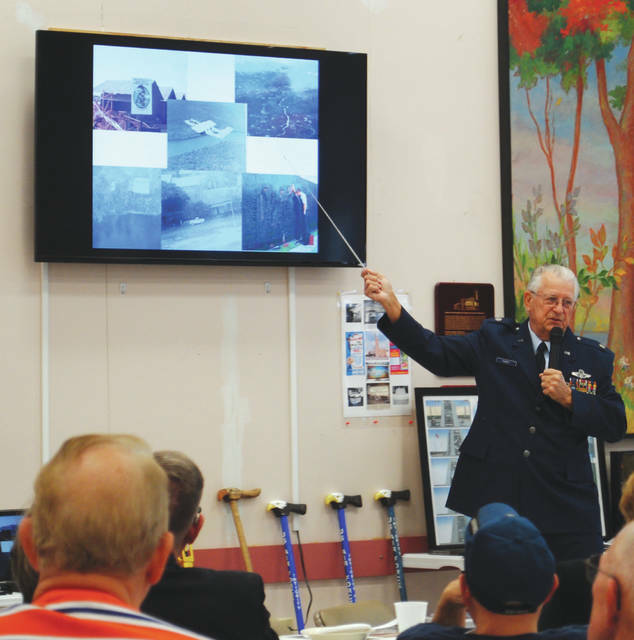 Whitney Vickers | Greene County News The Fairborn Senior Center highlighted Veterans Day Nov. 12, inviting community figure Fred Pumroy, an Air Force veteran, to share his story. 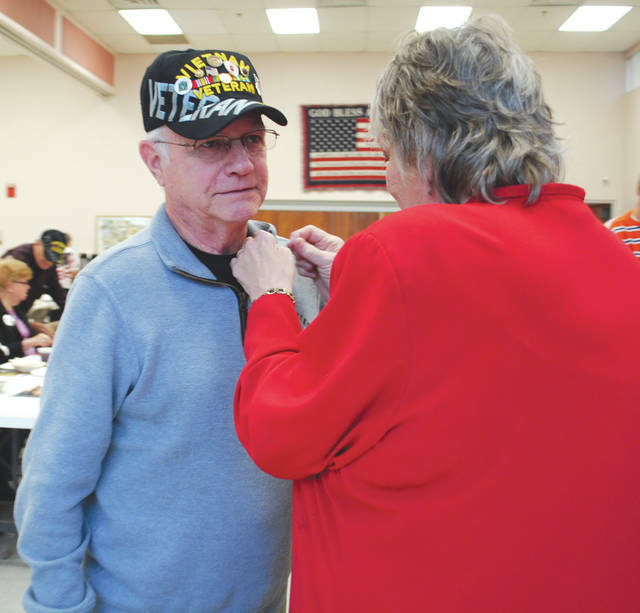 The Fairborn Senior Center gave pins and certificates to veterans. Former Mayor Dan Kirkpatrick and Air Force veteran also shared information about the American Veteran Heritage Center in the Dayton VA, and provided an update about the upcoming veterans memorial. The Fairborn Senior Center highlighted Veterans Day Nov. 12, inviting community figure Fred Pumroy, an Air Force veteran, to share his story. https://www.fairborndailyherald.com/wp-content/uploads/sites/50/2018/11/web1_vetsdayseniorcenter3.jpgWhitney Vickers | Greene County News The Fairborn Senior Center highlighted Veterans Day Nov. 12, inviting community figure Fred Pumroy, an Air Force veteran, to share his story. https://www.fairborndailyherald.com/wp-content/uploads/sites/50/2018/11/web1_vetsdayseniorcenter1.jpgThe Fairborn Senior Center gave pins and certificates to veterans. 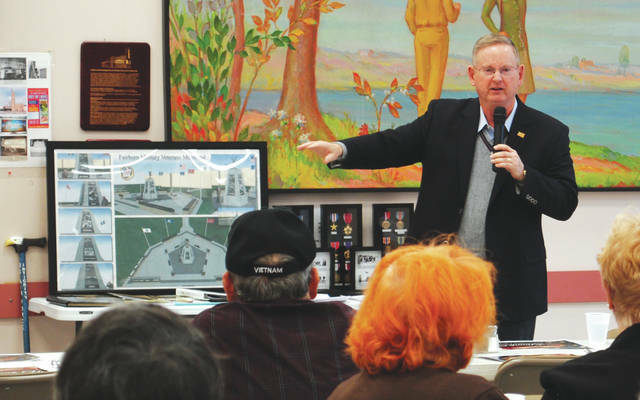 https://www.fairborndailyherald.com/wp-content/uploads/sites/50/2018/11/web1_vetsdayseniorcenter2.jpgFormer Mayor Dan Kirkpatrick and Air Force veteran also shared information about the American Veteran Heritage Center in the Dayton VA, and provided an update about the upcoming veterans memorial.